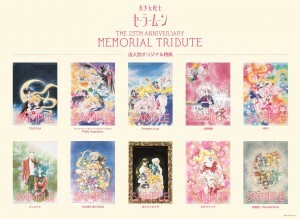 Sailor Moon The 25th Anniversary Memorial Tribute Album will be released on April 4th. You can pre-order it from sites like Amazon Japan. The Sailor Moon Official Site has posted a track listing for the album which shows us what will be included and what artists will be performing them. It also includes the album cover which is somewhat underwhelming as it’s art we’ve already seen for the 25th Anniversary Book. I’ve translated the track listing below. A bit of a mixed bag here. I was hoping for a bit more of a variety of tracks that weren’t on the 20th Anniversary Tribute Album. Most of these are songs from the original Sailor Moon anime with only one musical song and two songs from Sailor Moon Crystal. I would have liked to have seen more songs from films, musicals or even the live action series which had not been revisited rather than rehashing the same songs yet again. As always the album starts out with Moonlight Densetsu or Moonlight Legend, the Sailor Moon opening theme, this time performed by LiSA. This is surely the Sailor Moon song which has been performed by the most artists. 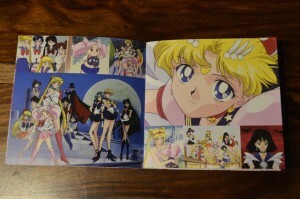 La Soldier, performed by Gesshoku Kaigi, is a song which was used in most of the early Sailor Moon musicals. 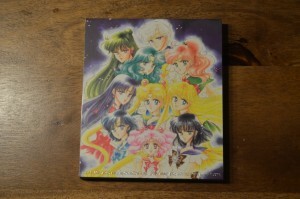 It was also featured at the end of Sailor Moon R episode 88. Gesshoku Kaigi will also be performing Kaze mo Sora mo Kitto or The Wind, the Sky, Surely, the ending theme for Sailor Stars. They are the only band to perform two songs on this album. Moon Revenge, performed by BiSH, is the first track that wasn’t on the 20th Anniversary Tribute Album. 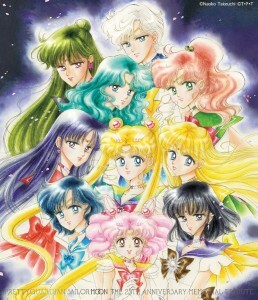 It was the theme song of Sailor Moon R The Movie which had the five Sailor Guardians each performing in this song. 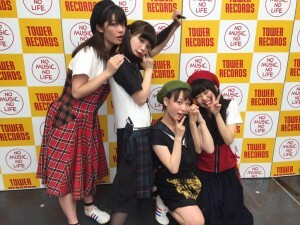 BiSH currently has six members. Perhaps one of them won’t be included in the song or will only sing in the parts where all members are involved. Previously Momoiro Clover Z performed a cover for this song which worked well as that group includes five members. Otome no Policy or Maiden’s Policy, the Sailor Moon R ending theme, is being performed by Yoko Ishida who originally performed the song for the Sailor Moon anime. This seems an odd choice for a tribute album which is otherwise all covers by new artists. I would expect that this version would be done in some other style especially after we just got a cover of it by Yoko Ishida for the Classic Concert. Kakumei wa Night & Day or Revolution is Night & Day is perhaps the most obscure inclusion on this album. 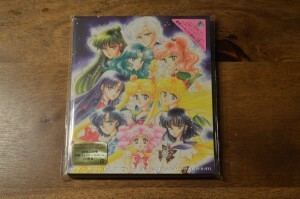 It was originally included in the fairly unmemorable Sailor Moon Crystal character song CD. It was not, to my knowledge, ever included in the series itself. 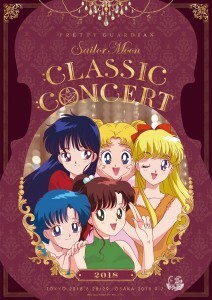 Character songs have existed for the original anime and the live action series but the more memorable ones of these were featured in those series although many were only included in singles and albums. There are surely many other character songs which could have been used instead of or in addition to this one. 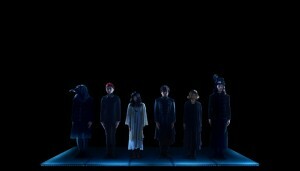 The song will be performed by Etsuko Yakushimaru. 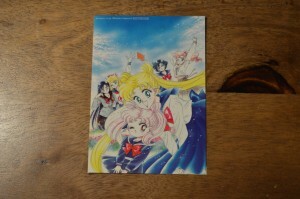 This is a particularly odd choice as this song, like Moon Revenge, was performed by the five members of the Sailor Team. Since Etsuko Yakushimaru is a single artist I’m not sure why this track was chosen. 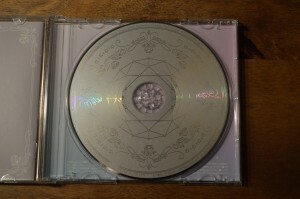 This, like all other Sailor Moon Crystal tracks, was not included in the 20th Anniversary Tribute Album since Sailor Moon Crystal did not exist at the time. “Rashiku” Ikimashou or I’ll Go As Myself will be performed by Sonoko Inoue. 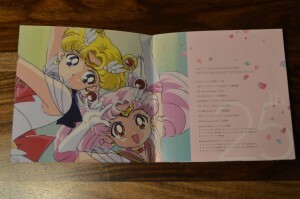 This was the second Sailor Moon SuperS ending theme which was also used for the end credits of the Ami’s First Love special which played with the Sailor Moon SuperS movie. 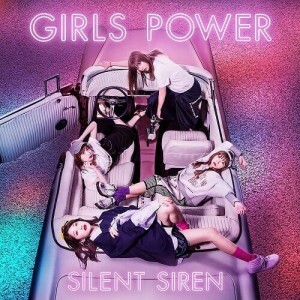 The Sailor Stars Song, the second opening theme used for the entire Sailor Stars series, will be performed by Silent Siren. 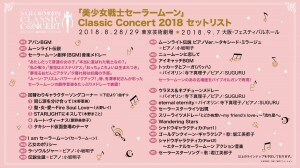 Eternal Eternity will be performed by Ziyoou-vachi. This was the opening theme for Sailor Moon Crystal Season III. The post also included a list of vendor exclusive bonuses. 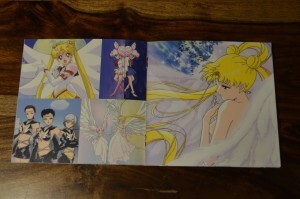 These are art by Naoko Takeuchi which was originally included with the manga. What do you think of the artists chosen for these tracks? Which are you most looking forward to hearing?